Premarin Review (UPDATED 2019): Don't Buy Before You Read This! Premarin is a prescription medication used to treat hot flashes associated with menopause. The makers of this product claim it works to reduce severity of hot flashes by up to 80% after 12 weeks of use. 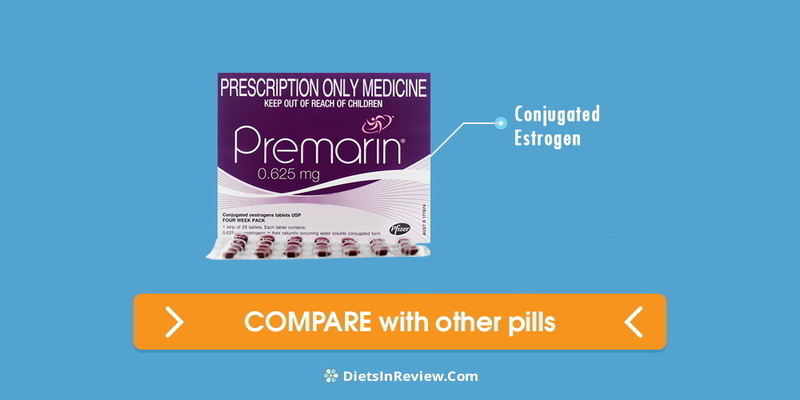 Premarin comes in the form of conjugated estrogen tablets and is meant to be taken every day. Aside from reducing hot flash-associated discomfort, Premarin can reduce vaginal dryness and lower the risk of osteoporosis. After looking at a variety of hormones and herbal solutions for menopause, we’ve found that Femmetrinol best offers the kind of benefits users are looking for—relief from hot flashes, increased energy and improved moods. Click here for a closer look at how Femmetrinol can get you back to feeling like yourself. Conjugated Estrogen: A formulated version of the hormone, estrogen, conjugated estrogens are used primarily to treat women going through menopause, as it reduces the frequency and severity of hot flashes. Additionally, it may be used to prevent the bone density loss that comes along with reduced estrogen levels, and is therefore often recommended as a way to reduce the risk of osteoporosis in older women. In some cases, conjugated estrogens are used by both men and women to treat certain cancers. Side effects associated with taking conjugated estrogen may include breast tenderness, headaches, nausea, bloating, gas, weight gain or loss and shifts in mood. More serious side effects include breast lumps, irregular bleeding, depression, memory loss, numbness, excess sweating, dizziness or swelling of the legs and more. Even more serious, the product website warns that taking this product comes with an increased risk of breast, ovarian and endometrial cancers, as well as heart attack, stroke and more. Hormone-free supplements for menopause – our top ten picks here. In reviewing the quality of the key ingredient in Premarin formula, it’s clear this product has a number of side effects, which could put some people off. That being said, this is a prescription drug, and users are unlikely to be using this product without the guidance of their physician. Based on looking at the website, it’s unclear whether the more serious side effects are rare, or if they occur regularly, but these side effects do come with other estrogen-based medications and the makers of this product are likely covering their bases in case of a law suit. Take a closer look at the best products for reducing hot flashes – experts weigh in right herep. Premarin is a prescription drug used for menopause, as well as vaginal dryness and osteoporosis, therefore it is covered by most insurance companies. The official site mentions most patients will be charged somewhere around $15 per prescription copay. For those potential users who may not have insurance, Premarin costs about $39 for ten tablets. There are coupons available to individuals who need assistance. 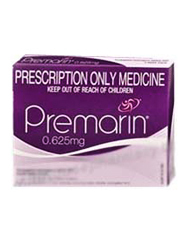 The cost of Premarin seems a bit high, and if your insurance does not cover all or most of the cost, you could end up spending a hefty sum on this medication. Our experts have put together a guide to the best ways to relieve menopause symptoms—click here for the full list. Premarin has its own dedicated website that offers all the necessary information users are looking for, but it’s laid out in such a way readers may find confusing and hard to navigate. That being said, users have access to side effects and information detailing the indications of the drug. There is some controversy surrounding this product, as well as other products that rely on conjugated estrogen like vaginal rings, patches or other types of medications that distribute estrogen to the rest of the body. Conjugated estrogen, as mentioned above is made from horse urine, which has inspired the ire of PETA, the animal rights organization. According to the organization’s site, the name Premarin is a shortened version of “PREgnant HORse urINe,” though the official website makes no mention of whether or not this was intentional. It’s worth acknowledging as some users may be vegetarian or vegan, and have an issue with this practice. Pfizer itself is a major force in pharmaceuticals and has long been one of the more prominent names in big pharma. 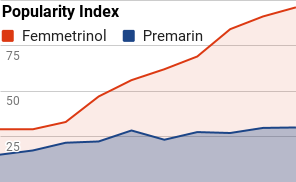 Users considering Premarin should be able to rest easy knowing this is a mainstream drug subjected to many rounds of clinical trials and widespread use. It seems that Premarin is really dependent on your body chemistry. Some people loved it, while others reported no change with use, and others still felt a little nauseous or jittery. Based on the above reviews, as well as others we came across in our research, it’s hard to get a good sense of what the typical reaction to Premarin is. There are quite a few positive reviews, so this may be a promising solution for people who need a boost here and there. 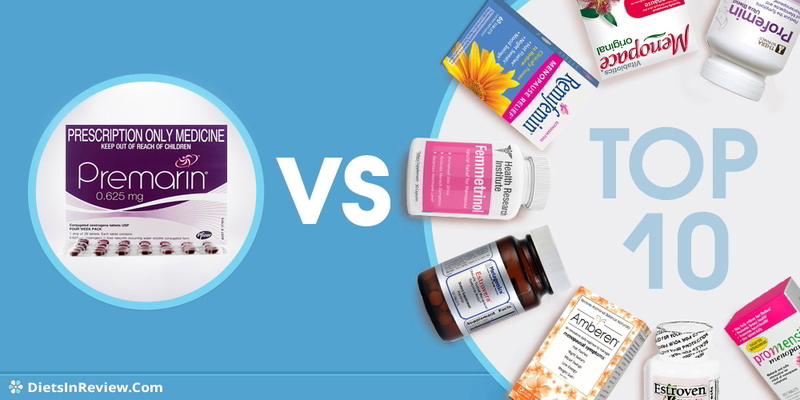 Click here for a guide to the best alternatives to hormone replacement therapy – experts share top picks. Conclusion – Does Premarin Work? In the end, it’s hard to say whether we’d wholeheartedly recommend Premarin. It has helped a lot of people, and it’s been on the market for several decades, proving it’s become a trusted medication for many women and the doctors that serve them. That being said, unless your insurance plan offers full coverage for Premarin, it may prove to be a costly solution. It seems to be a pill that needs to be taken daily, but the average out of pocket cost for the drug is $39 per packet of ten pills. The fact that Premarin is made from horse urine may be a drawback for some potential users, though most people likely won’t take issue with this, particularly if they already consume meat. Vegans and vegetarians may want to find a separate solution, or weigh their concerns against the potential benefits. Beside the cost, there are also some side effects that come along with taking Premarin. Many of them are less serious, but many women reported hair loss or stomach issues after taking this product, and there is a risk of developing heart disease or cancer when taken in high doses. Taking any kind of medication is a really personal decision, and with Premarin, users need to weigh the pros and cons—whether they’d risk disease development in favor of being free from hot flashes that have a negative impact on their daily lives. Fortunately, Premarin requires a prescription and users will need to go through a doctor in order to start taking the medication. We recommend being very clear about your medical history when speaking with a physician about starting this medication. After looking over countless menopause supplements, we’ve found Femmetrinol best addresses symptoms like hot flashes, mood swings and more. A natural blend of ingredients like wild yam, black cohosh and more deliver hormone-balancing effects, without the need to take estrogen or progesterone. The makers of Femmetrinol operate in an FDA-certified facility and have taken a number of measures to ensure consumers receive a high-quality product with little risk of side effects. 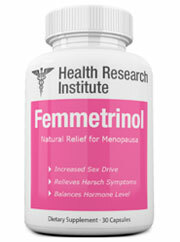 Learn more about the full list of benefits Femmetrinol can provide by clicking the link here. I have used Premarin 0.625 for 40 years. It’s been a great drug for me since my Hysterectomy at 37. I am now 69. My ins. has decided I have to have preauthorization to continue it. They will only approve 30 days now. Even if my doc gives prior auth, it still costs me $87 per month. Is there any financial help available from the drug company so I can continue with the Premarin?